The Rugby Site contains over 400 videos from the top coaches and players in the world. Depending on your subscription plan, subscribers have access to every video on the site. by topic - sort by area of the game such as 'Defence', 'Kicking' or 'Breakdown. Each Topic is then broken down into parts of the topic for different levels of coaches to view. 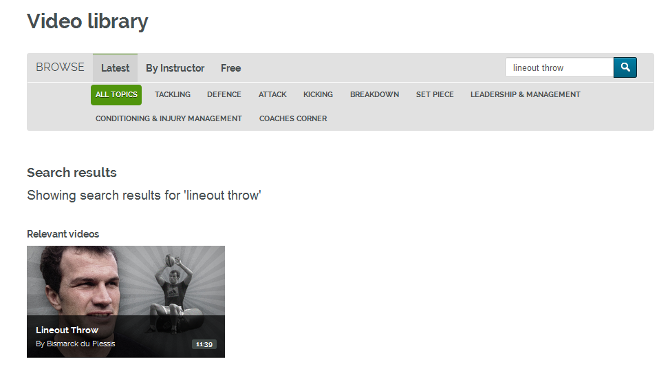 So you can view the videos relevant the coaching level you are involved in.